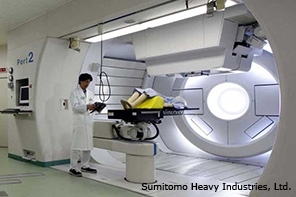 Radiation therapy with proton and ion beams is the most advanced method for irradiation of malignant tumors. By setting the beam energy, the prescribed dose can be placed exactly at the target volume (Bragg Peak). The great advantage of Proton and Light Ions Therapy is lower doses to healthy tissue resulting in reduced collateral damage. The treatments cause fewer side effects than conventional radiation therapy. LIONESS offer sophisticated particle accelerators and the latest in clinical imaging, patient monitoring and logistics tools to leading hospitals and clinics. LIONESS provide a range of products and services to organizations in the process to build advanced cancer centers. Integration of the most modern leading technologies with innovative facility designs and financing are provided by LIONESS.